InterOcean's customized environmental solutions can help remotely monitor and alert before potential environmental disasters happen. 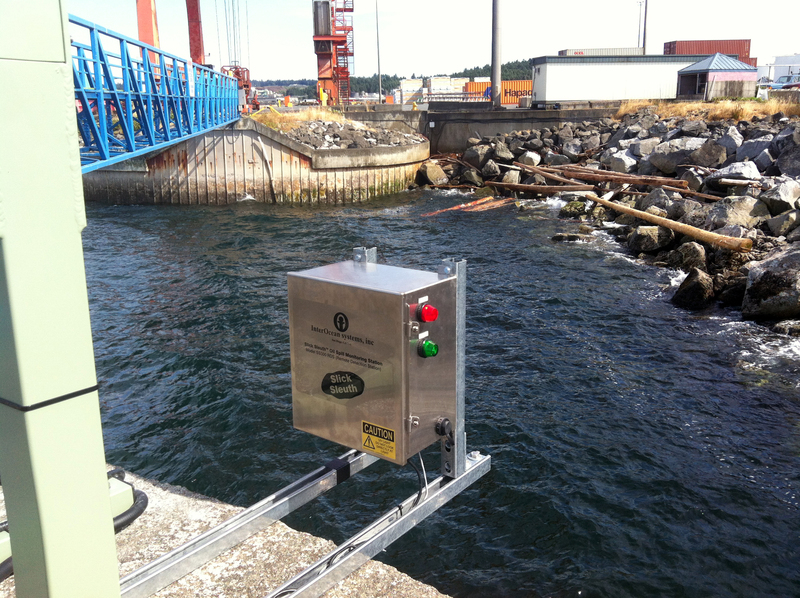 Detect, prevent and control environmental disasters before they happen with InterOcean’s oil spill monitoring solutions. 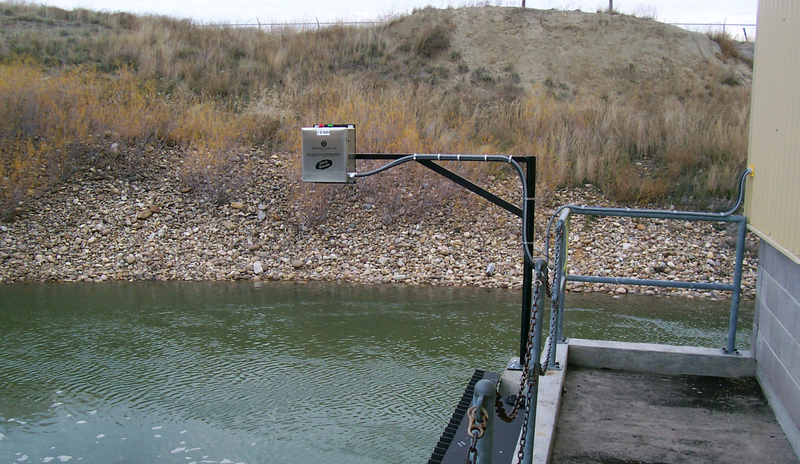 Along with oil spill monitoring, we support universities, research agencies, municipalities, environmental agencies, and others doing environmental research by developing customized winch and cable handling solutions for water sampling, pollution and water quality monitoring, temperature monitoring and more. 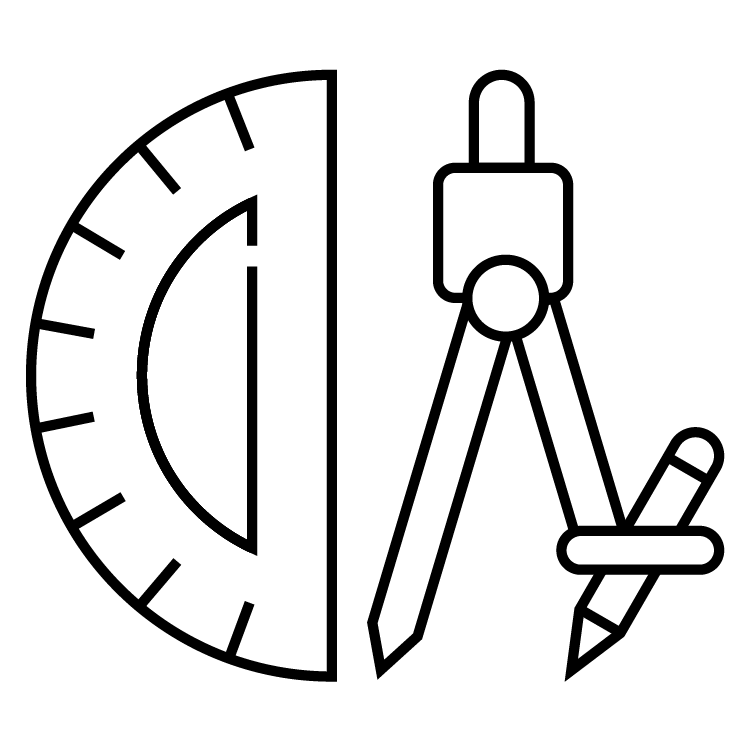 We can engineer and supply a system optimized for the application requirements and operating environment for any environmental project. 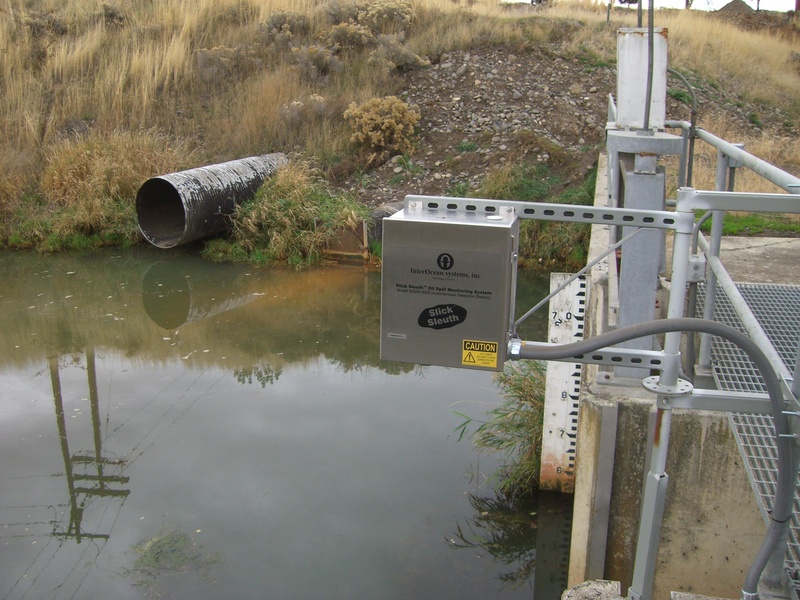 Application: Monitoring cooling water and storm water discharge at power plant outfall, the point at which facility discharges water to the river. At this location there is zero-tolerance for discharge of any oil, whether drips, leaks, spills or accidental releases. There are often large quantities of oil at power plants, primarily petroleum (fuel) oil and transformer oil. And all types of power plants tend to use oil, including gas-fired, coal-fired, oil-burning, hydro-electric, nuclear, sub-stations, and even solar. 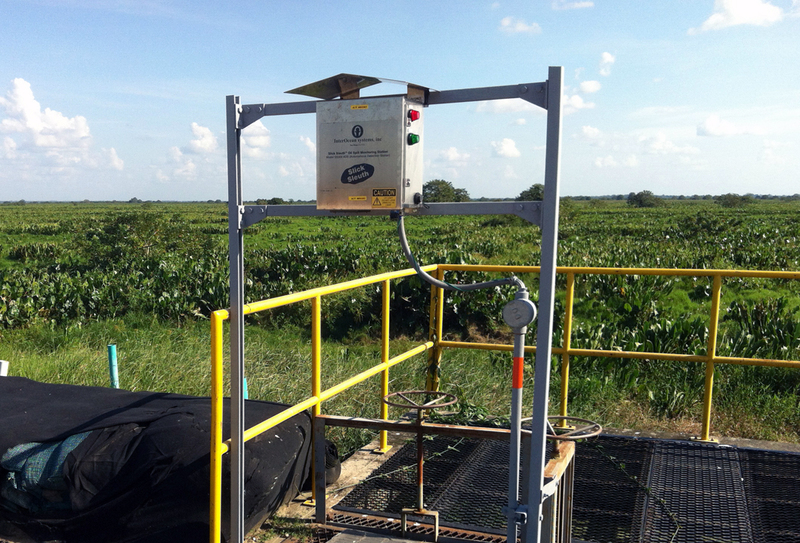 Application: Early warning detection of crude oil leaks and potential spills at crude oil production sites in a wetlands region of the Amazon basin. 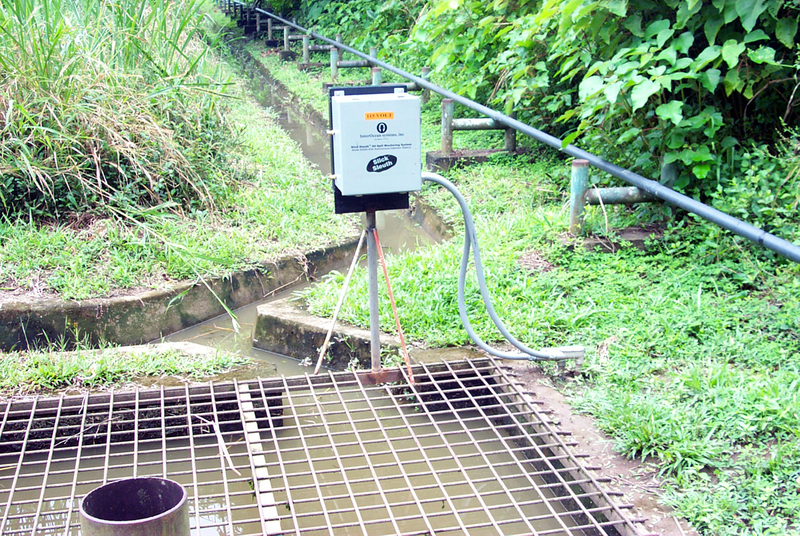 This capability, to remotely detect and automatically contain oil pollution, is of particular value in unmanned locations like this, where spills (should they occur) have an immediate and sever impact on the sensitive wetlands habitat surrounding the production site, as well as for pretetion of wildlife in an area where there's fish spawning, and turtles and birds nesting. Description: Slick Sleuth model SS300s coupled with automated gate valves, which actuate and capture oil any time it is detected, in addition to sending remote alarm to personnel in the distant 24/7 central control room. 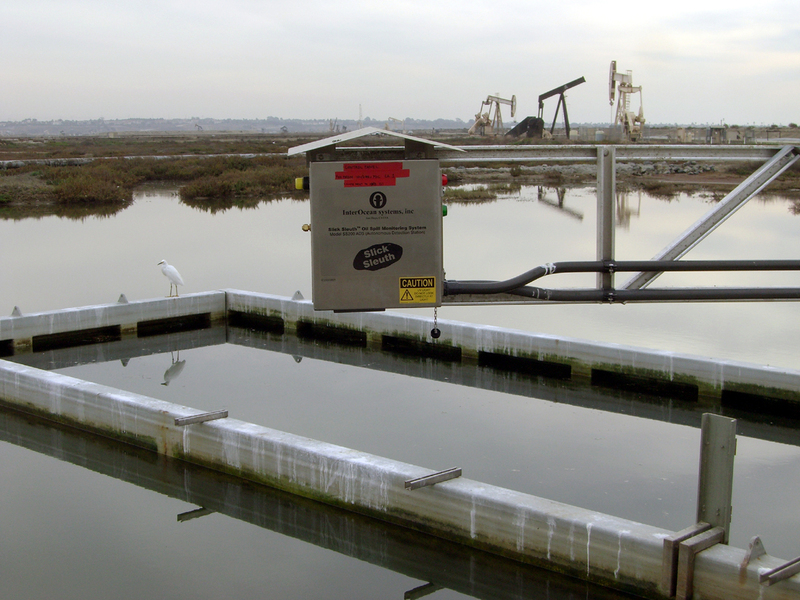 Application: Monitor for crude oil in and around the Bolsa Chica Wetlands in California. 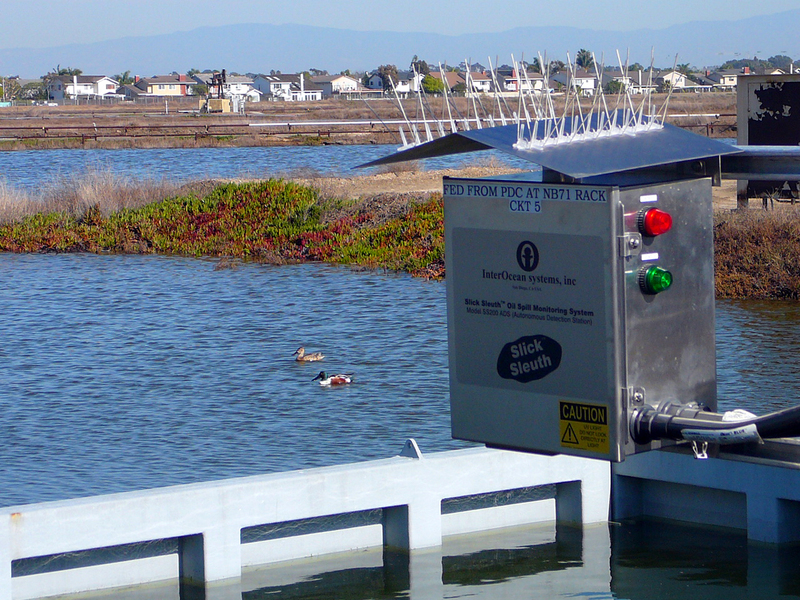 Sensors are installed at strategic locations throughout the wetland area, which is classified as a critically sensitive habitat. 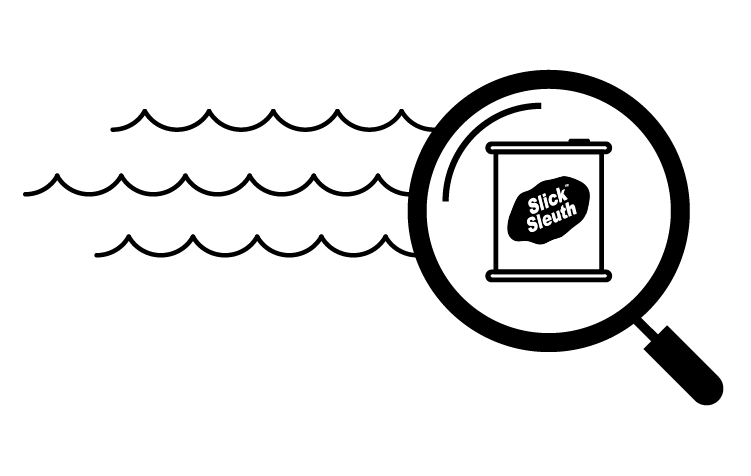 Description: Slick Sleuths are coupled with RF links to send data and alerts in real-time the control room on site. The oil detectors are also coupled with huge tidal-control gates, to contain/prevent any spilled oil from hitting the beaches along the Pacific Coast, adjacent to the wetlands in Huntington Beach. Additional METOC data is gathered at these locations as well. Ready to discuss specifics about how we can help provide solutions for your environmental project needs?